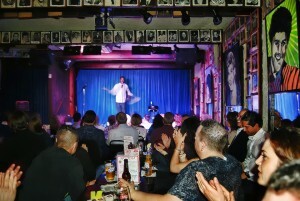 UP Comedy Club is a Second City theatre that plays host to all things funny. Opened in 2012, this beautiful space has quickly become an Old Town staple, providing Chicagoans with a variety of hilarious shows ranging from national stand-up acts to Second City improv and sketch performances and even podcasts and book signings. UP also offers a full-service kitchen and bar with a solid selection of appetizers, entrees, desserts, beer and cocktails. 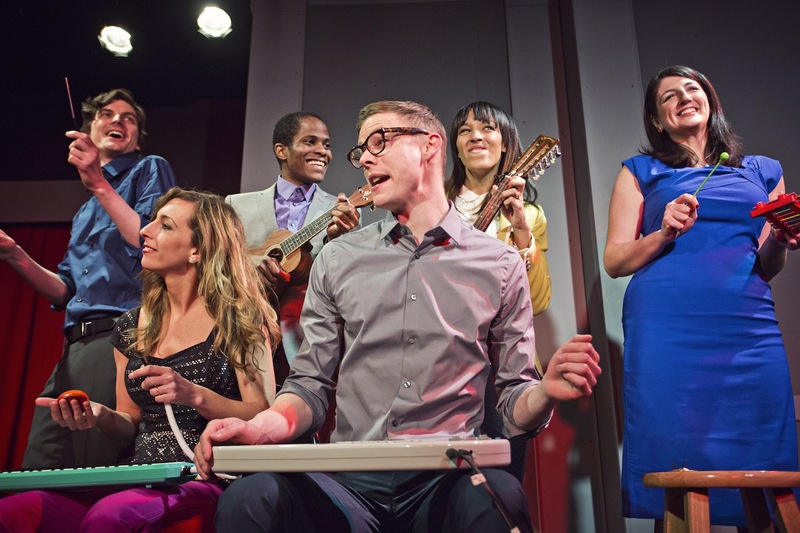 Be sure to check out #DateMe: An OKCupid Experiment during its extended run this fall. “We call ourselves a dive bar,” says bartender Anya Chatterjee. Old Town Ale House is simple and old school — no frilly drink menu or loud music, just one television and waves of satisfied regulars looking to wind down or keep the party going with a few drinks. 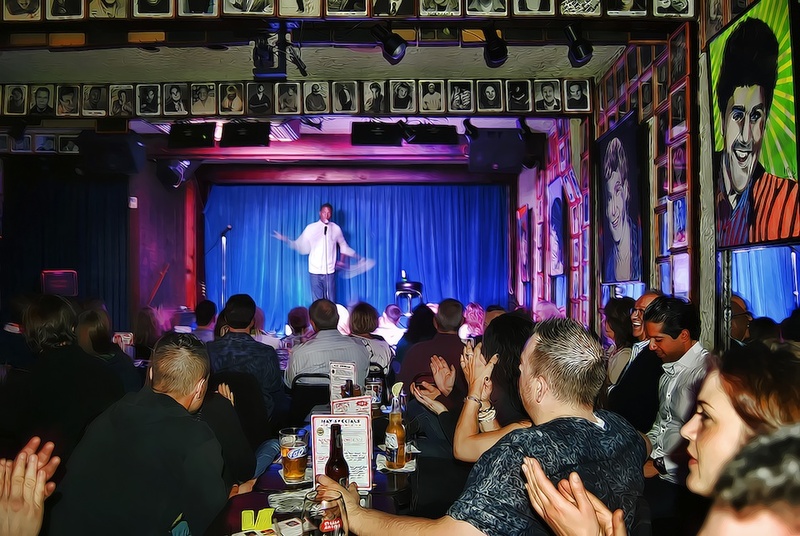 Famous for its jukebox and location across the street from Second City, the bar has seen more than its share of comedians stop in over the years. Take time to admire the owner’s quirky collection of celebrity paintings that adorn the walls. Corcoran’s is about as authentic as you can get for an Irish bar in Chicago. “We have a lot of Irish people who work here, so it’s got a homey feel,” says server Kristine Niland. The bar has a very inviting and friendly vibe, and things always seem to be hopping here. 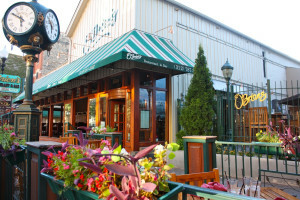 One Irish regular, Peggy Callinan, recommends the coconut shrimp, and their burgers and beer garden out back are favorites as well. 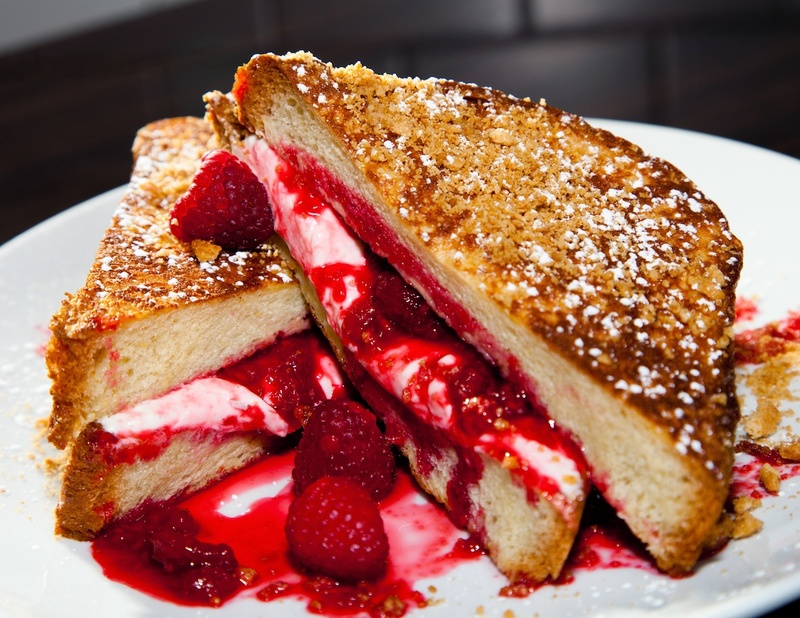 Kanela is an American-style breakfast and brunch diner with a little Greek twist. The menu is scrumptious — there are so many things that sound too delicious to pass up. The most interesting item on the menu is the freshly squeezed apple juice. Far from concentrate, the drink is served in a mason jar and tastes just like a juicy apple you ordinarily would bite into. I recommend trying the loukoumades (Greek donuts), the mango-lime smoothie and the red velvet French toast, which is basically a plate of sweet, gooey red velvet cinnamon rolls. Is your mouth watering yet? Up Down Cigar is a specialty cigar shop for tobacco connoisseurs. They sell pipes, cigarillos, lighters, hookahs and, of course, cigars. The store also sells countless brand-name tobaccos. If you’re not sure where to start, the employees will gladly help you find what’s right for you. Zanies, with locations in suburban Rosemont and St. Charles, as well as Nashville, has been an epicenter for some of the best, most consistent stand-up comedy in the country for 31 years and counting. The intimate space has a lively atmosphere, and the walls reflect the venue’s long and storied history. Every inch is covered with signed picture frames with the faces of comedians who have graced the Zanies’ stage over the years like Chelsea Handler, Jay Leno and John Mulaney. 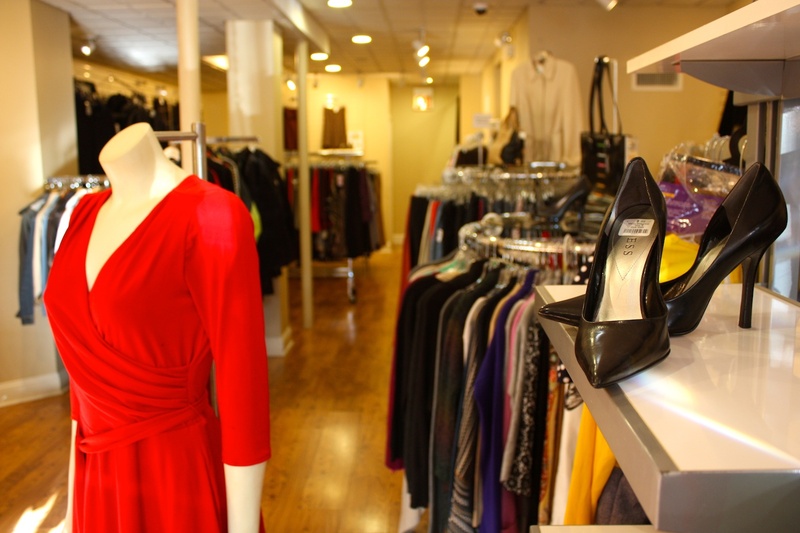 Mercy Beaucoup is a resale boutique that sells dressy to causal clothing. Geared toward men and women, Mercy Beaucoup is more than just a clothing store; the boutique provides jobs for at-risk youth for the Mercy Home for Boys & Girls. Not to mention, the clothes are super cheap. Where else can you find a pair of quality jean shorts for $8? This shop specializes in chocolate. Need we say more? 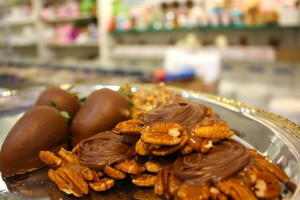 The Fudge Pot has chocolate for every occasion available in a variety of sculpts and molds. Graduation caps, cute puppies, smiling suns… all made from delicious fudge! Available in milk, dark and white chocolate, you can also buy sweet fudge treats from behind the counter. The Fudge Pot also does catering. 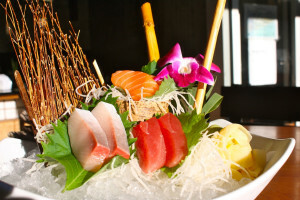 Nicknamed “Chicago’s first sushi restaurant,” Kamehachi brings Old Town a little Japanese flavor in the form of freshly made sushi. With other menu items such as hot and cold seafood, steaks, salads and maki, guests are sure to find something that suits their tastes, whether authentic Japanese cuisine or more familiar American flavors. O’Brien’s offers a versatile dining experience with spacious outdoor seating with a garden and bar, as well as two separate dining rooms — one casual with wooden tables, and the other more classy with full tablecloth setup. Manager Loreto Delgado III says that O’Brien’s “attracts a lot of political people — the mayor even comes to visit!” The menu is elaborate, with items ranging from burgers and beer to New York strip steaks and fine wines. 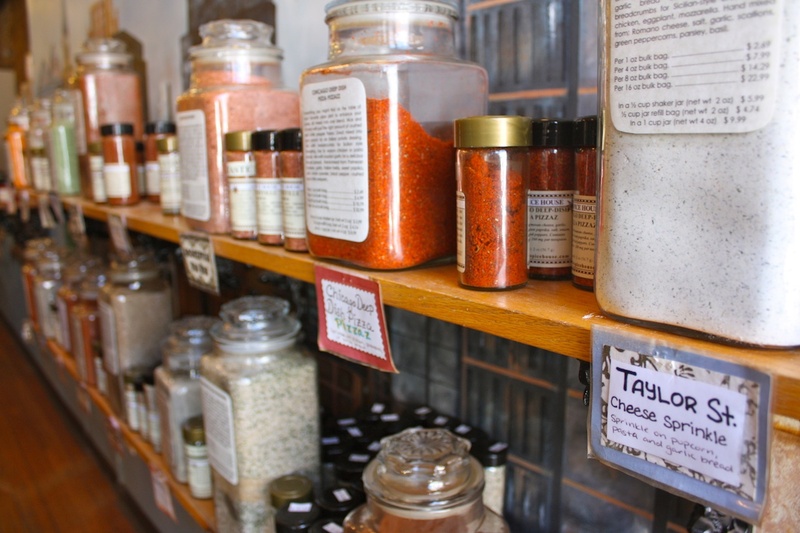 The Spice House is a unique shop that sells a grand assortment of fresh herbs and spices. With any conceivable spice you can think of — from fresh vanilla bean to international seasonings to barbecue rubs — this place is a dream for anyone looking to add some zest to their food. You can buy your spices prepackaged or choose the amount you want to purchase. 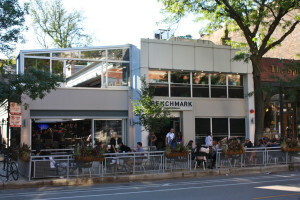 Benchmark is a chic, upscale sports bar that shifts to more of a club-type feel as the night wears on. Go there if you’re looking for some good food and drink (try the fish tacos, buffalo chicken rolls or mini pork sandwiches), to watch the game, or celebrate an occasion with a private party. The two floors, sundeck with a retractable roof, video wall, booths with built-in TVs and weekend DJ create an ambiance that stands apart from other bars in the neighborhood.